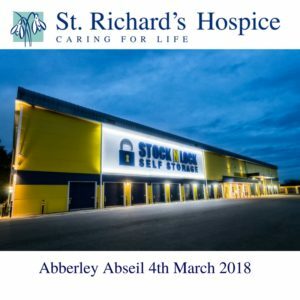 Stock N Lock to Abseil down Abberley Tower for St Richards Hospice! Please Sponsor us in our next Charity event for St Richard’s Hospice. We are taking part in an Abseil down Abberley Tower!